Raccoons are known to be very curious and highly intelligent creatures. They often cause nuisance to humans. 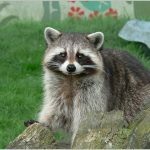 Raccoons are nocturnal animals that often make a mess while tipping over trashcans, destroying gardens and they also cause structural damage when searching out for food. 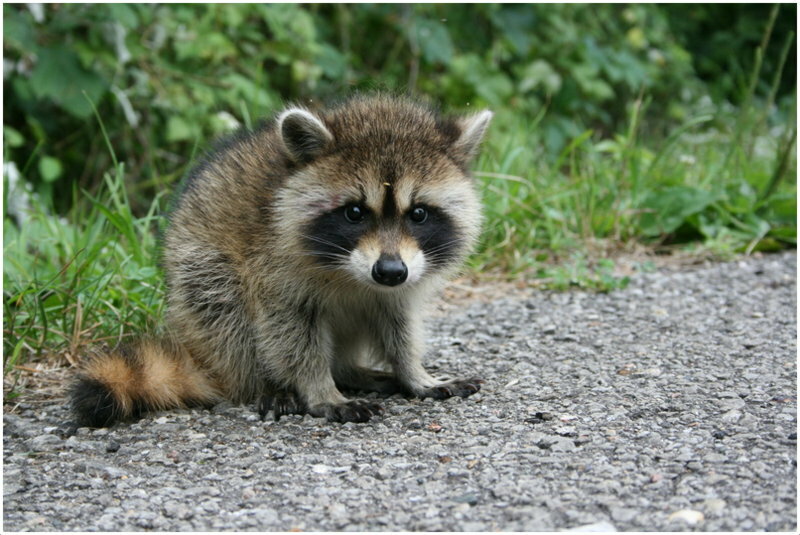 The size of a raccoon measures an average of 12″ tall, 14 to 23 lbs. 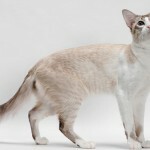 in weight and about 24-38″ in length. The average lifespan of a raccoon in the wild is 2 to 3 years. 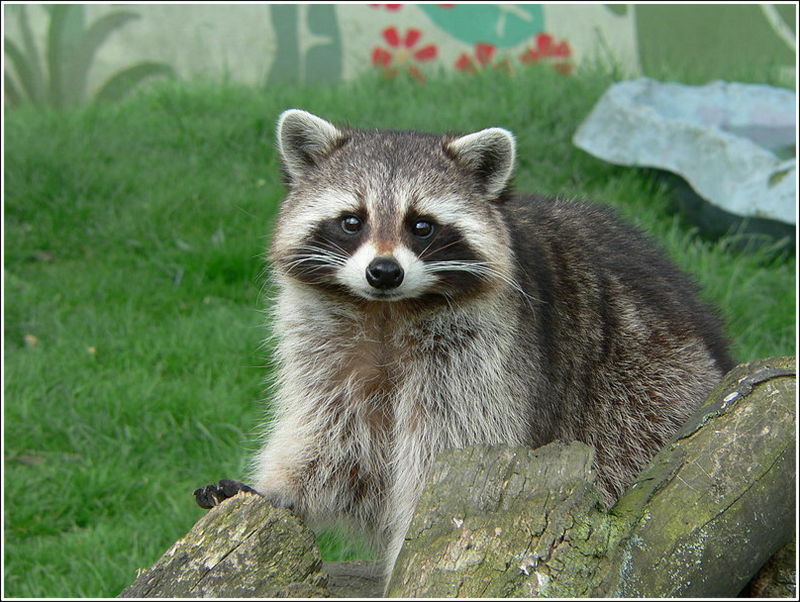 Raccoons have a gray coloured fur with black mask and surrounding their tails, they have 4 to 7 black rings. 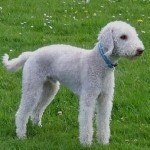 They also have a black nose with a pointy snout and agile front paws. Raccoons are known to be omnivorous animals and they eat almost anything they find. 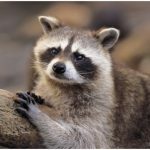 Raccoons invade garbage cans and eat the wasted food of humans in urban areas where there is limited fresh vegetation and wildlife. Most of their diet often includes invertebrate animals and fruits. North America is native to raccoons, but they have also emerged recently in some parts of Japan and Europe. They inhabit in places that have good access to trees and are heavily wooded with an abundance of vegetation. They build their dens in burrows that were abandoned by other animals and hollow parts of trees. They travel to even a distance of 18 miles to look for food. Raccoons adapt themselves to the environment easily. They can be found in urban and suburban areas where they dwell in attics, barns, sewers and sheds. They also stay close to their homes within a reach of 1 mile when living in urban areas. Raccoons are mostly active at night, as they are nocturnal in nature. 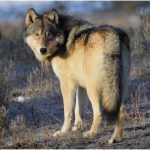 They are also mostly active in the summer, spring and fall seasons and they sleep inside their dens throughout the winter. They reproduce during the late winter and female racoons give birth to the young ones in April and May. The young ones stay with their mother for one year and the mothers are very protective of them. 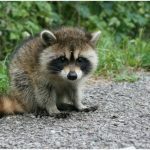 They become independent at the age of 12 months and the adult racoons live in a community of 4 to 5 raccoons in order to protect themselves from predators. 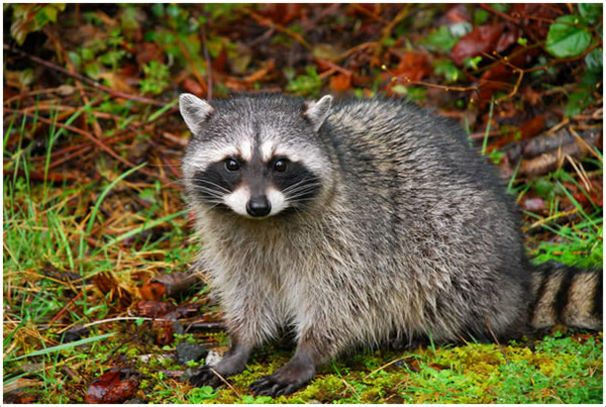 They communicate with other racoons with 200 types of sounds having 12 to 15 calls. These animals are known for their amazing talents, as they can even open jars, doors, latches and bottles. They are also excellent climbers that enable them to access food and shelter easily. Though racoons are nocturnal animals, they are often found to come out during day in warm states, like Albania. Racoons don’t travel long distances if they find enough food nearby. They live in small territories and choose a number of trees within the range of their homes so that they can sleep well. They live in solitary most of the times and the mothers raise their babies alone without the help of a father. They give birth to 3 to 7 babies at once in the month of February. Racoons don’t hibernate but to store energy for winter, they eat extra food during autumn. January to March is the season when racoons mate. Female racoons give birth to 4 to 6 six offspring after 2 months of mating. 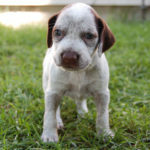 The young ones are able to stand when they reach the age of 4 to 6 weeks. The mother carries the young one around its neck to come out from the den, similar to a cat carrying a kitten. It teaches its young one to climb trees and how to hunt for food. Baby racoons are always protected by their mothers very well that saves them from the attack of predators. 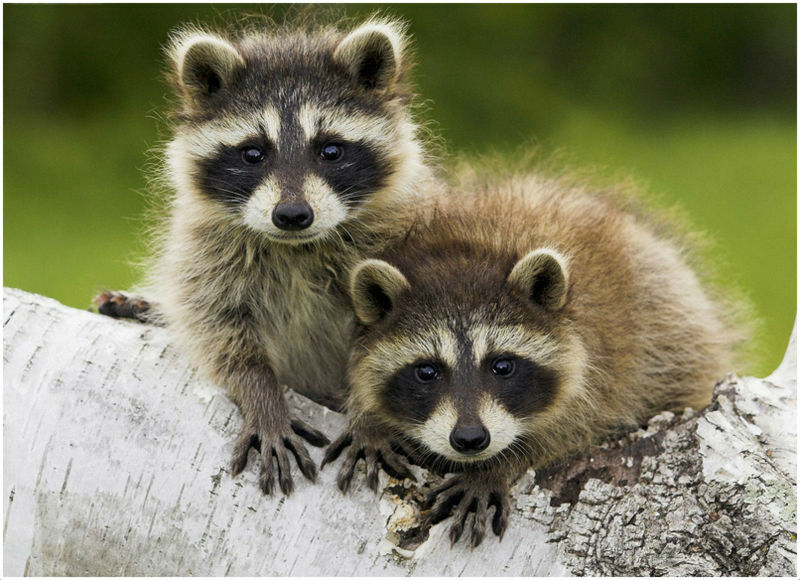 The fur coats of young raccoons are darker in colour than those of the adult racoons. The young ones stay with their mothers for a year. 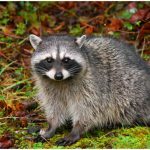 Cougars, domestic dogs, coyotes and bobcats are some of the main predators of raccoons. Also, eagles and large owls often attack the younger raccoons for food. The months between January and March are the time when mating occurs among raccoons. 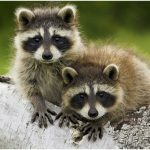 A male raccoon often stays with a female only for a week and then goes out in search of other female raccoons to mate. After about 63 days of mating, the offspring are born called kits. When these kits reach about 6 weeks of age, the mother starts teaching them how to hunt for food on their own. Raccoon’s body appears to be large and has gray, brown and black colours on its body. The colour around the eyes looks black while it also has some patches of white colour. 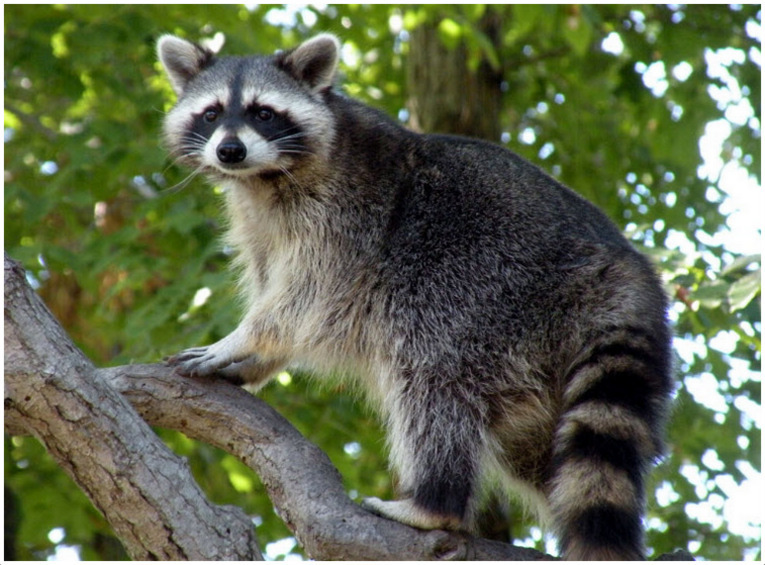 The tail of raccoons is striped in white, black and gray colours. The hands of these animals look very small that they use for various purposes. The nose of racoons is black coloured with a long and pointed snout. Each of the foot of racoons have 5 toes and walk from heel to their toes. It makes them easier to move on land and quickly climb trees as well. 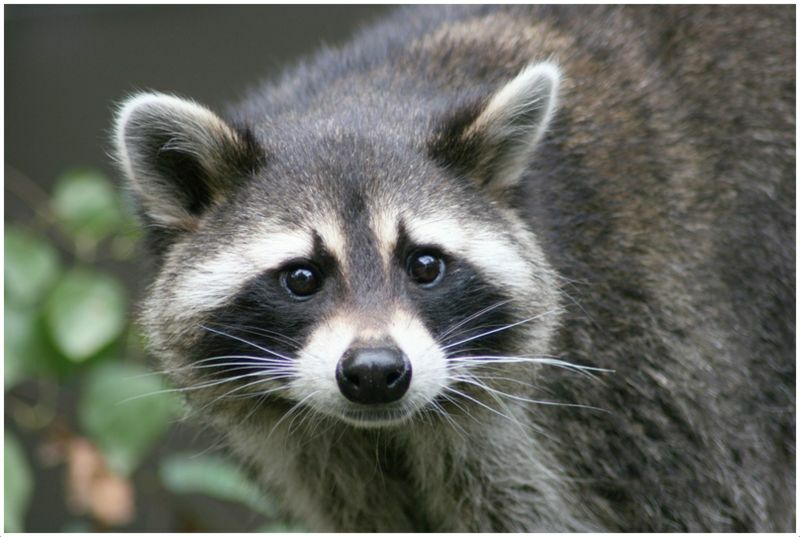 Racoons have wider eyes, small ears and a long, muzzle-like face. In wild, a racoon is has an average lifespan of 2 to 3 years, whereas in captivity they can live for 13 years. 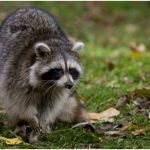 Raccoons are known as carriers of various bacterial diseases and parasites that can be transmitted to different pets and humans simply through their waste. 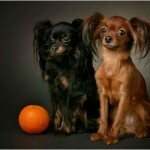 The diseases that affect different pets and humans include salmonella, leptospirosis, roundworm and rabies. 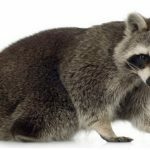 Signs of rabies-affected raccoons include aggressiveness, excessive foam from their mouth, unusual vocalization, etc. 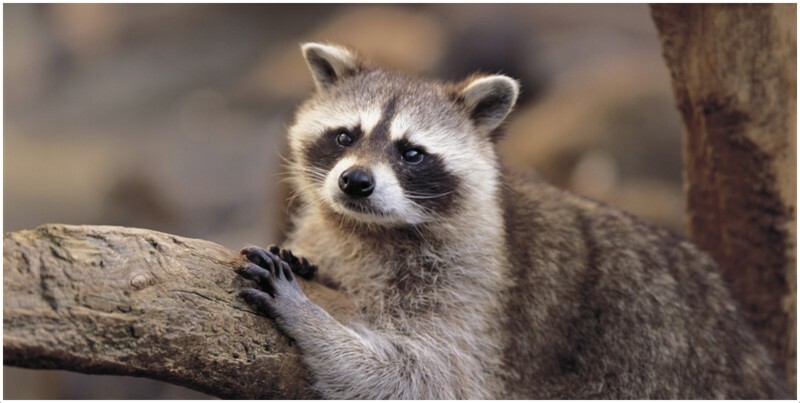 Racoons can shake off their coat to dry after coming out of water. They just twist and revolve to groom themselves. Young racoons are adorable, intelligent and very playful animals. 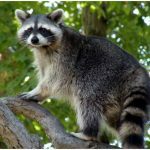 They are often kept as pets in home by some people, but adult racoons are not a great choice as pets. There are about 7 to 25 subspecies of racoons found in North America. These are the types of racoons used as pets, which often don’t live in tropical islands. 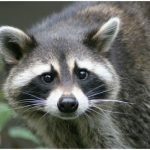 Racoons have striped tails and unique masks like bandits. They also have 5 to 7 dark rings. An adult raccoon has a large body and weighs more than 30 pounds. 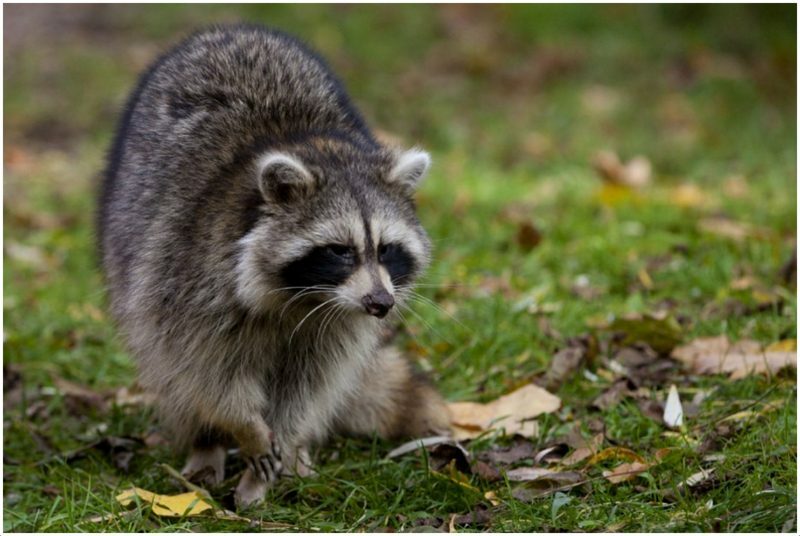 Males are often heavier than female raccoons. They are carnivorous animals and have large canine teeth and 5 toes on each paw.